As 2014 closes, we’re taking a quick look ahead at the 34 in-cycle US Senate seats for 2016. The tables have turned in that it is the Democrats who will have to convert Republican seats in order to recapture their lost majority. With Republicans having to defend 24 of the 34 Senate states, the Democrats will have plenty of conversion opportunities. They will need to win all 10 of the seats they currently hold and convert five Republican seats to reach 51 senators. Should the Democrats hold the White House in the presidential election, the Senate conversion number will drop to four because the Democratic vice president will then be able to break a 50-50 deadlock. Of the senators who preliminarily say they will seek re-election, four (senators Richard Shelby (AL), John McCain (AZ), Charles Grassley (IA) and Barbara Mikulski (MD), will be 80 years old or older at the time of the next election. Another six will be 70 or older. Right now, several seats are projected to be competitive, and both Democrats and Republicans are eying individuals they would characterize as dream challengers. Though it is still difficult to forecast the complete US House political picture next year, mostly because redistricting is only about half finished, we already see that more than 40 sitting members will draw serious competition in either the 2012 primary or general election. Below is a list of 22 incumbents who will be in competitive campaigns next year from states where redistricting is complete. The second half of the overall group will be featured in our Wednesday report. 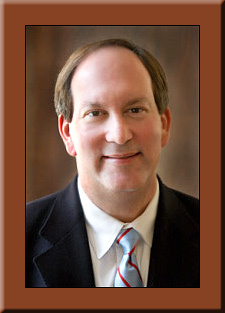 AR-1 – Rick Crawford (R) – Redistricting added more Democrats to what already was a highly Democratic seat. Crawford will be in a toss-up situation. CA-3 – John Garamendi (D) – The new 3rd district could conceivably elect a Republican. Watch for a serious GOP challenge to Rep. Garamendi, who is serving his first full term. CA-9 – Jerry McNerney (D) – Potential challenges in both the Democratic primary and general election await Mr. McNerney, who has chosen to run in a seat that doesn’t include his Bay Area political base. CA-10 – Jeff Denham (R) – Though Rep. Denham will be the heavy favorite in this new district, it is not as Republican as his current CA-19. CA-16 – Dennis Cardoza (D)/Jim Costa (D) – The redistricting commission greatly altered the Fresno area. Rep. Costa announced for CA-16 even though his home is in the new 21st, which is much more Republican. Rumors persist that Cardoza may retire. CA-24 – Lois Capps (D) – The new Santa Barbara seat is a 50/50 district now, so former lieutenant governor and state Sen. Abel Maldonado (R) is a very strong challenger here. CA-25/26 – Elton Gallegly (R) – Rep. Gallegly can either run against fellow GOP Rep. Buck McKeon (R-CA-25) or in the new marginal 26th district (Ventura County). Keep a retirement watch on Gallegly who even announced such before the 2008 election, only to change his mind. CA-30 – Brad Sherman (D)/Howard Berman (D) – This will be a tough primary and general election for the two veteran Democratic congressmen. One will not return to the next Congress. CA-31 – Joe Baca (D) – Rep. Baca does not like his new, and more competitive, 31st district and may hop over to the more Democratic 35th CD, created as an open seat. CA-32 – David Dreier (R) – Congressman Dreier’s current 26th district seat was broken up into six different parts. He will not run in District 32, as this seat is highly Democratic. Most of his options are poor. If Elton Gallegly does not run in District 26, then that seat is a possibility for Dreier. He could also swing down into District 31 if Rep. Baca moves to CA-35. CA-38/47 – Linda Sanchez (D) – There is a good possibility that Rep. Sanchez will face strong primary opposition either from Rep. Grace Napolitano (D-CA-38) in the new 38th district, where both of their homes reside, or in the Long Beach-based new 47th district. There, state Sen. Alan Lowenthal (D) has already said he will run. Rep. Laura Richardson (D-CA-37) is also a potential candidate. This seat is also in play for the Republicans. Former Rep. Steve Kuykendall (R-CA-36), is saying that he, too, will run here next year. CA-39 – Ed Royce (R)/Gary Miller (R) – This is a Republican pairing. The winner retains the seat for the GOP, but one of the two will not return. Most of the territory currently belongs to Royce, who has to be regarded as the favorite in this new configuration. CA-44 – Janice Hahn (D) – Newly elected Rep. Hahn will likely draw a challenge from fellow Democratic Rep. Laura Richardson (D-CA-37) and state Assemblyman Isadore Hall (D). The seat is heavily minority, so facing either a strong African-American or Hispanic opponent in the general election could doom Hahn’s re-election chances. CA-52 – Brian Bilbray (R) – Rep. Bilbray was paired with Rep. Darrell Issa (R-CA-49) in new district 49, but will run in the new 52nd. The seat should elect a Republican, but the Democrats are competitive. Former state Assemblywoman Lori Saldana (D) has already announced her candidacy. GA-12 – John Barrow (D) – Assuming the current Georgia redistricting map passes the Georgia Senate and is signed by Gov. Nathan Deal (R), Rep. Barrow will find himself in a much more competitive district. The new 12th will go from a mid-50s Obama district to one in the mid-40s. The African-American population drops precipitously, as well. IL-8/14 – Joe Walsh (R)/Randy Hultgren (R) – Another Republican pairing. Rep. Walsh’s current 8th district was eviscerated in redistricting. His best chance at winning re-election to a second term is to challenge fellow GOP Rep. Randy Hultgren in new District 14. A child support payment scandal surrounding Walsh puts Hultgren in the early favorite’s position. IL-10 – Bob Dold (R) – Redistricting makes the marginal 10th even more Democratic. Freshman Rep. Dold has already announced he will run for re-election here. IL-11 – Adam Kinzinger (R)/Judy Biggert (R) – Rep. Kinzinger, like Mr. Dreier in California, saw his current district split multiple ways. He will have several choices of where to seek re-election. New district 11 is certainly one of his options, but none are particularly appealing unless Rep. Don Manzullo (R-IL-16) decides to retire. Rep. Judy Biggert (R-IL-13) could also seek re-election here, though the new 11th is much more Democratic than her current seat. Former Rep. Bill Foster (D-IL-14) has already announced his candidacy in this newly configured seat as has a strong chance to convert it to the Democratic column, particularly with President Obama leading the ticket. IL-13 – Tim Johnson (R) – Originally paired with Rep. John Shimkus (R-IL-19) in the new 15th District, Rep. Johnson has chosen to seek re-election in the marginal 13th District. He can expect serious general election competition. IL-17 – Bobby Schilling (R) – Though redistricting brought the seat back toward Schilling’s base in the Quad Cities region, the new 17th will be even more Democratic than the previous district. Several strong Dem challengers are already running. Schilling finds himself in a toss-up situation, at best. For further detailed insights, to sign up for my daily email updates, or to sign up to track specific issues or industries, please contact me at PRIsm@performanceandresults.com. At this point, early in the 2012 election cycle, nine former members of Congress have announced that they will run again next year. An additional 14 confirm they are considering mounting another congressional campaign effort, but have not yet made a final decision. • Dina Titus (D) – NV-3 challenger (Rep. Joe Heck) or new seat; one term; elected 2008. Though not announcing for a particular district until after redistricting is completed, ex-Rep. Titus is running for Congress; she recently resigned her position with the Civil Rights Commission to return to Nevada to begin assembling a campaign. The Illinois legislature made some final changes to the base congressional map, such as putting Reps. Tim Johnson (R-IL-15) and John Shimkus (R-IL-19) back in separate districts instead of pairing them, and then sent the legislation on to Gov. Pat Quinn (D). Democrats will make substantial gains in the state but, now that the political numbers have become public, the Republicans feel they are more competitive. Originally, some analysts believed the Democrats would change the 11R-8D map to 13D-5R. Illinois loses a seat in reapportionment, thus explaining the difference in the total number. Taking a careful look at the political performances in races other than the 2008 presidential contest show that Republicans could fare better, possibly confining their losses to a net of three or four seats instead of five. More information is unfolding as incumbents and party officials make statements. Once the map is signed into law, expect the Republican Party to file a lawsuit, challenging the fact that only one Hispanic district was drawn. Hispanics are a greater population than African-Americans in the state (2.02 million to 1.87 million according to the 2010 census) yet, under this new map, they have only one seat (Rep. Luis Gutierrez’s 4th district) versus three for African-Americans (Districts 1-Bobby Rush, 2-Jesse Jackson, Jr., and 7-Danny Davis. Republicans will argue that the “packing” of Hispanics should void the map. They clearly believe the drawing of a second Hispanic seat will help them in surrounding areas. Turning to the political data, combining the results of the 2008 presidential race (Barack Obama defeating John McCain) with the 2010 Senate (Republican Mark Kirk beating Democrat Alexi Giannoulias) and gubernatorial races (Gov. Quinn nipping state legislator Bill Brady), a better feel can be obtained for the new 18 districts. The Obama race cuts both ways. First, it is legitimate to believe that the Democratic number skews high in this race because the president is, of course, Illinois’ native son and the state’s 2008 numbers were among his best in the country. On the other hand, he will be back on the ballot in 2012, so the Republican incumbents and challengers will have to overcome his presence while fighting in substantially new territory. Taking all three aforementioned races into consideration does make Republican prospects appear a bit better. First, there are six seats where Democrats swept each of the 2008 and 2010 studied races. They are new districts 1 (Rush), 2 (Jackson), 4 (Gutierrez), 5 (Mike Quigley), 7 (Davis), and 9 (Jan Schakowsky). These Democratic incumbents are clearly safe, realistically for the balance of the ensuing decade. One district gave the Democratic candidate two of three victories. Dan Lipinski in the IL-3 will represent a reliable Democratic district, but one in which a Republican could win under certain circumstances. Mark Kirk, in 2010, carried the district by a 48-46 percent margin. The average Republican vote extrapolated over the three studied races is 44.0 percent. Another Democratic seat only turned in one D victory in the three races. The downstate 12th district of Rep. Jerry Costello actually yielded Republican victories in the Senate (51-43 percent) and governor’s (50-44 percent) races. The average Republican vote is 48.3 percent, suggesting that this race could become competitive in an open seat situation, but is likely safe for Costello since 93 percent of the territory is from his old 12th CD. Two seats are strongly Republican. The new 15th district that houses Rep. John Shimkus, is the most solid GOP seat in the state, scoring an average of 63.0 percent in the three races. Rep. Aaron Schock’s18th CD registers 62.7 percent. Seven seats saw Republicans winning two of the three studied campaigns, with the president carrying the district in every case. Three of these districts, however, show the Republican average as dropping below 50 percent. The new open 8th CD is likely to go Democratic in an incumbent-less race. The GOP average there is 45.3 percent. The new 11th CD, where Rep. Judy Biggert would likely run, but is already being opposed by former Rep. Bill Foster (D-IL-14), turns in a 44.3 percent average Republican vote. And, in the Quad Cities region, freshman Rep. Bobby Schilling only sees an average Republican vote of 48.7 percent, but the seat is culturally more conservative than this partisan voting history suggests. In a re-match with defeated Rep. Phil Hare (D), Schilling would have a fighting chance to survive. Rep. Peter Roskam’s 6th district appears favorable for him with an average Republican vote of 55.7 percent. Three potential pairings exist for the GOP, which is their biggest problem. Rep. Tim Johnson could challenge Shimkus in the new 15th, or run for re-election in the new 13th, where is house now resides. IL-13 is still majority Republican, but certainly not as strong as District 15. It is likely that Reps. Randy Hultgren and Joe Walsh will square off in new District 14, with Reps. Don Manzullo and Adam Kinzinger doing battle in the new 16th. Both latter districts produce an average 55.7 percent Republican vote. Now that the political numbers are becoming known, it appears the Democrats can count seven wins in their column with three more seats leaning their way. The Republicans appear solid in five with one more leaning toward their party. Two seats figure to be toss-ups. Should the Democrats sweep the state in 2012, then a 12D-6R party division is the likely outcome. If Republicans rebound, then a 10D-8R final score is in the realm of possibility. The “send” button had been barely pushed releasing the new Illinois congressional district map, and former Rep. Bill Foster (D-IL-14), defeated in 2010 for re-election by Rep. Randy Hultgren (R), 45-51 percent, says he will run again next year in the newly created 11th district. No present incumbent currently resides in the proposed IL-11 and the inclusion of the city of Aurora gives Foster a base in the new territory. The seat is designed as a Democratic gain. From Aurora, a western Chicago suburb, the new district meanders eastward to pick up the city of Naperville and then darts even further east, closer to south Chicago. It then juts south all the way to annex the city of Joliet. The current 11th, represented by freshman Rep. Adam Kinzinger, is spilt into no less than eight districts. Mr. Foster, however, will not likely win the new 11th without a fight. Wealthy insurance executive John Atkinson (D), who had already signaled his intention to challenge Rep. Dan Lipinski (D-IL-3) because he believes the Congressman does not work closely enough with President Obama, now finds his home in the new open seat. Atkinson did not give a firm indication of where he might run, but clearly the Democratic legislative leaders want to avoid the intra-party challenge. The current Illinois delegation count stands at 11R-8D. In losing a seat in reapportionment, early analyses show that Democrats could come away with a maximum 13-5 split under the new lines, as most of the Republican incumbents find themselves placed in districts with a GOP colleague or more. The map is expected to sail through the legislature and be signed by Gov. Patrick Quinn (D).